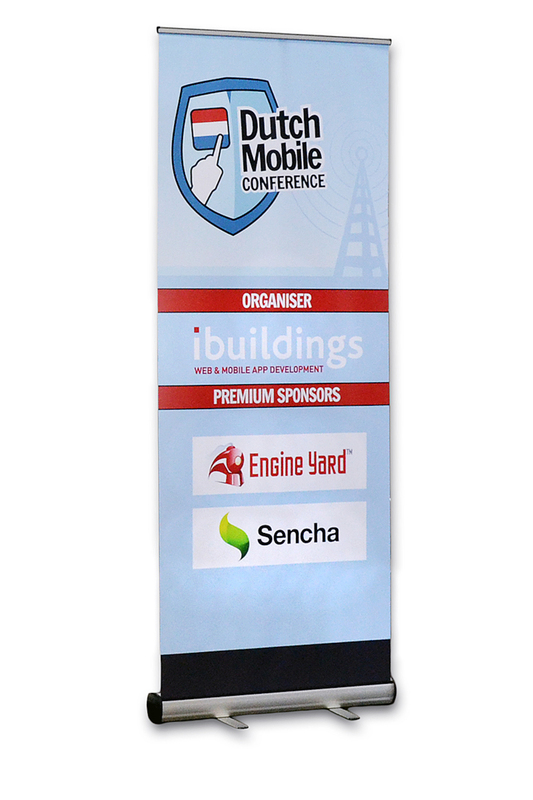 For your stage performance we can also provide you with stage banners and roll up banners. 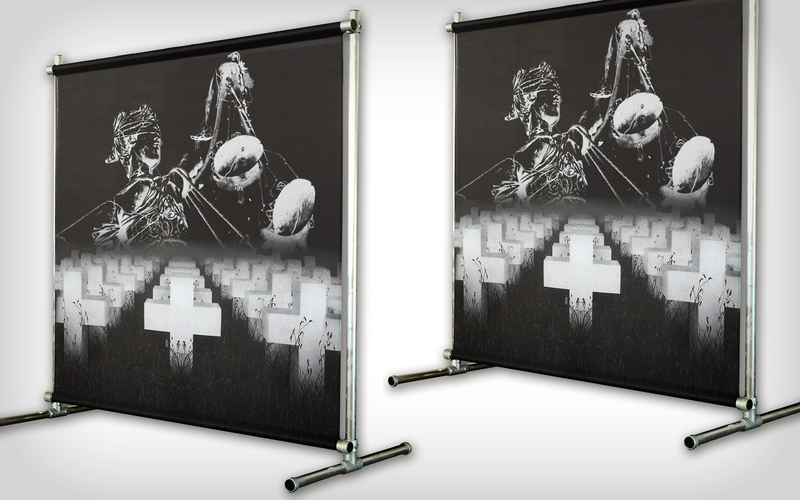 A stage banner is a frame with a Decotex backdrop. 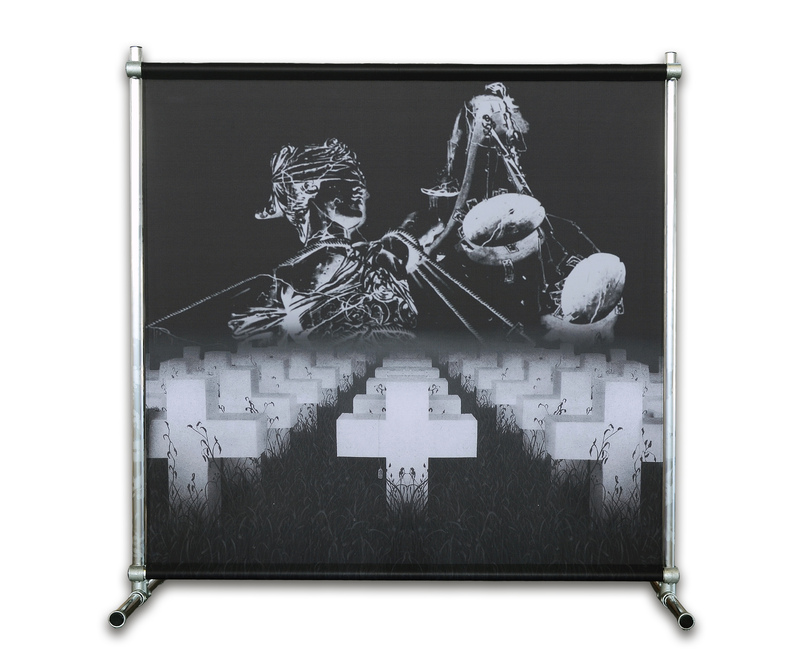 The ideal solution for venues or places where it is not possible to hang a backdrop. 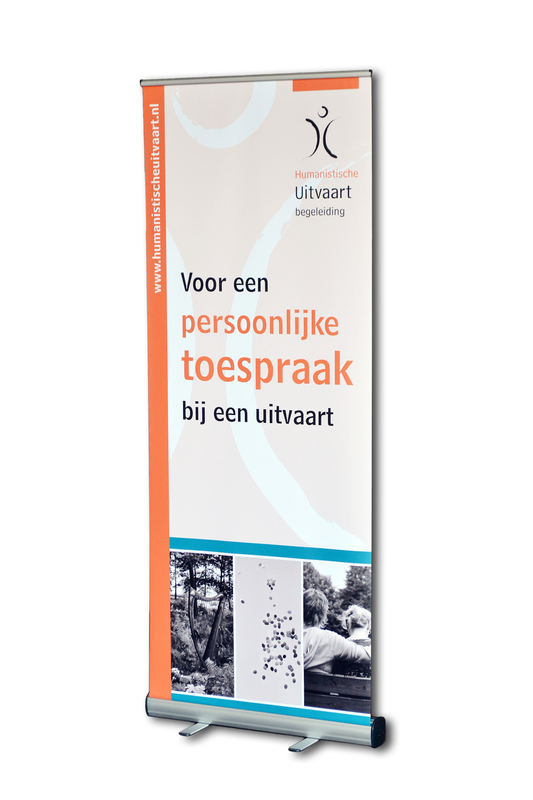 A roll-up banner with black cassette is very suitable on stage, but can of course also be used at trade fairs and events. 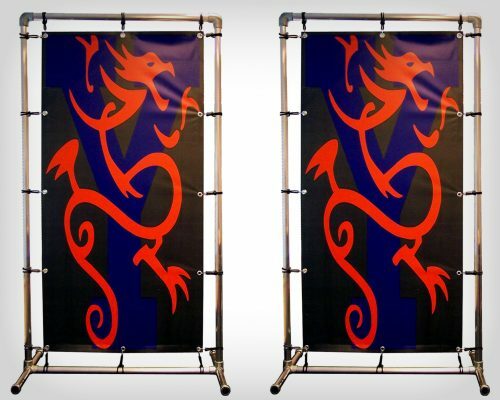 The banner is printed on one side and of high quality. 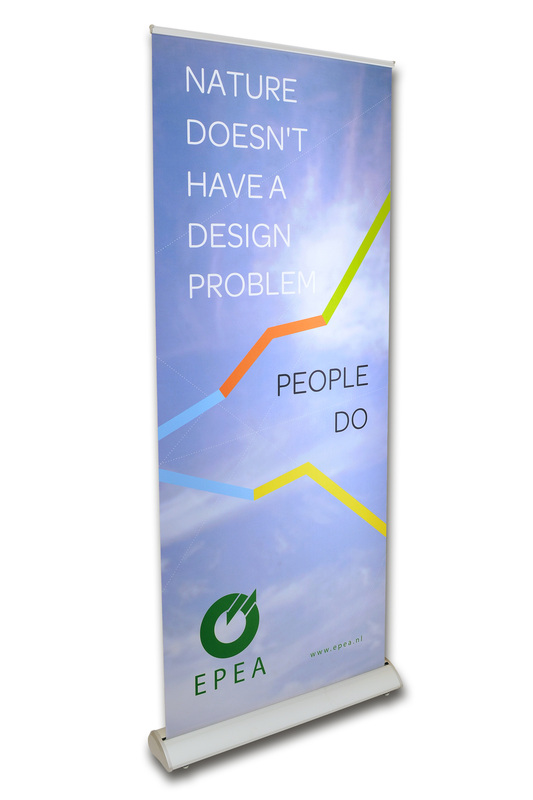 The roll-up banner has a solid construction and a beautiful design. Comes with a luxurious black bag and is easy to transport and set up. 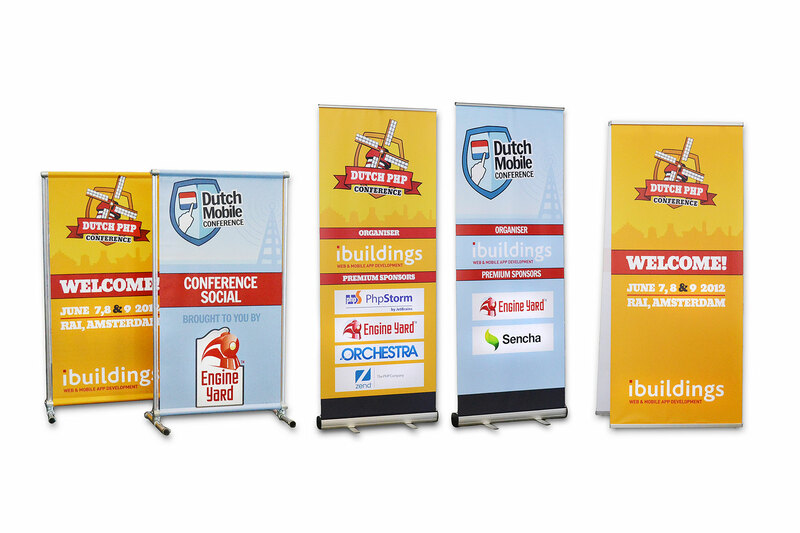 The Decotex fabric that we use for these banners is printed in full color at 360 dpi in any design. The canvas has a matt appearance which makes it ideal for use on stages and fairs, as lights or spotlights and for example camera flashes do not reflect this. Your file: If possible .eps .pdf or .ai in vector, text in outlines.